I had only read good reviews of this book and I want to read it too. But honestly, I'm not a big fan of novels that have war as a backdrop. The only time I have explored this genre was with 'Gone With The Wind', the first ever book that I left unfinished. Since then, it has been a no-no for a war zone book. Then again, the reviews were too hard to ignore and I found myself placing an order for the book. The idea was to give it a shot and abandon the book if the genre doesn't still appeal to me. Boy! Was I in for a surprise. When death tells you a story, you need to listen. 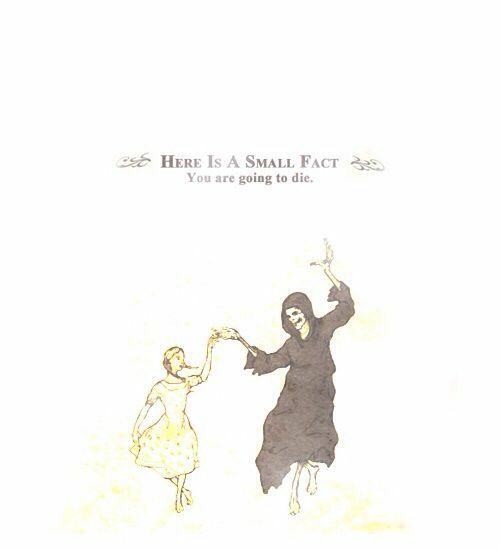 The narrator of this book is Death and this is the best beginning one could ask for. I was hooked on from the first word and this book broke me a million times before putting me back together again. The first time Death sees Liesel Meminger is when she's traveling with her mother and younger brother on a train. On the way, her brother dies and is buried next to the tracks. With Death as the sole witness, Liesel steals her first book, titled 'The Grave Digger's Handbook', when it falls out of the gravedigger's pocket. 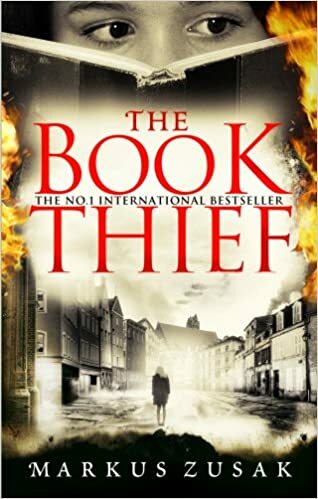 This causes Death to name her 'The Book Thief'. Liesel Meminger is the protagonist of this story and she's fostered by Hans and Rosa Hubermann after her biological father abandons their family and her mother is forced to send her to a foster home due to her political belief. Liesel is on the verge of adolescence with brown eyes, blond hair and a smile that is always starving. Germany is under the Nazi regime and Liesel is exposed to its horror and she struggles to grow up in the midst of her destructive surroundings. When her papa Hans starts teaching her to read, she discovers the power of the written word and falls in love with it. She then steals books from snow, fire, and the mayor's house where she frequents to drop and pick up laundry. Liesel's best friend and neighbor is Rudy Steiner, who is always hungry but is very vocal about his non-support to the Nazis. He's always by Liesel's side and gradually falls in love with her, always trying to get a kiss out of her throughout the book. When he does, it is in unexpected melancholic circumstances but it does come together beautifully. Hans Hubermann continues to teach his foster daughter to read in the basement of their tiny house throughout the night and Liesel finally begins to see light in her otherwise dark life. When the Mayor's wife offers her to visit their library and read as much as she wants, she is ecstatic and slowly begins to form a mute relationship with this frail lady. While Germany continues to get bombed and Liesel sees her city diminishing bit by bit, she holds her family close. When a jew, Max Vandenburg, comes to take refuge from the Nazi regime in the Hubermann's basement, Liesel forms a close relationship with him and he starts preparing a sketchbook for her writing his story. This book is just a story of Liesel and the people around her and the then current situation of war. And books. Yes, books. This is not an easy book to read. Mostly because its words make you stop, cry, think and re-read it again and again. I have loved so many verses in this book that I can close my eyes and feel the words come alive again. There are so many emotions that this book evokes. The tender love and concern between Hans and Liesel is endearing. The way she looks up to him for comfort when she wets her bed, and the way he embraces her every single time tugs your heart. Even the unsaid possessiveness that Rosa has for Liesel makes you feel warm inside. But what struck me the most in this book was four relationships. One, between Liesel and Rudy. Two, between Liesel and Max, Three, between Liesel and Ilsa Hermann, the mayor's wife. And four, between Liesel and Death. Rudy Steiner was a character that I immensely loved. There is such an honesty in his rebellion and so much of an innocence in his love for Liesel. This book belongs to him as much as it does to Liesel. Max! He is such a brilliantly written character. I was reminded of Nicholas Brody of Homeland every time I read about him. His desperation, his helplessness, his uncertainty, his misery - everything speaks out loud even when he says nothing. The way he finds a project to keep himself alive and the scene when Liesel sees him during the march of Jews and runs after him calling out his name, killed something inside me. He is the one who helps Liesel develop as a reader and a writer and even though it is not explicitly mentioned in the book, I know that he loved Liesel. Ilsa Hermann who has entered depression after the death of her only son in the Great War, is a very underrated character, but she is the one who helps Liesel the most. By opening up her home library for Liesel, she gives Liesel the power to dream and provides Liesel with the much needed escape from her bleak surroundings. Even though Liesel evades death for 90 years, Death has followed her closely. How else could this book be written? I love the way Death describes her. Never missing a single frame or a single emotion. Death sees Liesel in her pure naked form and she is the only one who could have made Death use the words "Even death has a heart". While Liesel is the heroine of this book, undoubtedly, the hero is Death. The book shows Death as a form of care rather than that of fear. It shows Death as a living creature, soul and all. That is exactly what remains with you much after you have finished reading the book. I don't know what is more brilliant, the story, the writing or having Death be the narrator. What I know is that this book is embedded in my soul forever and everyone who knows to read should read this book. It should be made mandatory reading to understand every possible emotion that a human can go through. Soumya, loved reading this review. 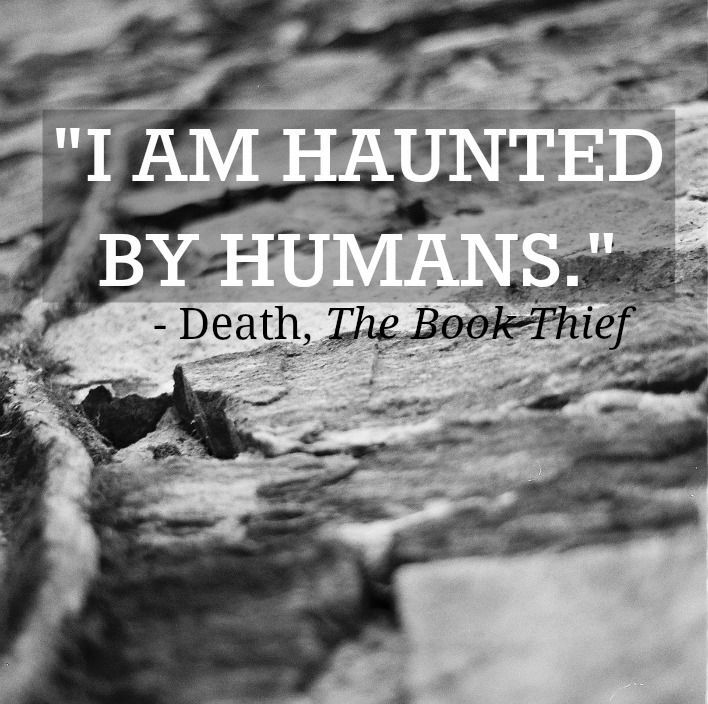 The book thief is one of my favourite books. It is now mine too. Thanks, Lata. I have read this book, Soumya, and cried buckets at the end! I so loved it, I would recommend this book to anybody who loves reading! I would love to read it all over again, go off on this journey and relive every moment in the story. You too? Well, this book affected me more than it should and that was the best part of it. One of my Top Five books. I hope to re-read it next year. Thanks for sharing this review, Soumya. I have to get a copy of this book very soon. Please do Vasantha. You will love it. You already know how much I loved the book. Like you, I stopped, pondered, cried and re-read portions. What astounding storytelling! What an amazing premise, the characters that become a part of you. I am so glad I own the book. I will be sure to re-read it in a couple of years. It is one of the best books I've ever read. I am so glad I have it too. I'm gonna take care of it like a precious gem. Lucky you. I just discovered this recently. Yes yes yes to everything you said. It's beautifully written. I took time to warm up to it and almost abandoned it as Liesel makes her way through that Grave Diggers Handbook but I'm so so glad I didn't. I was sold from the first word. I'm so glad you didn't give up on it. 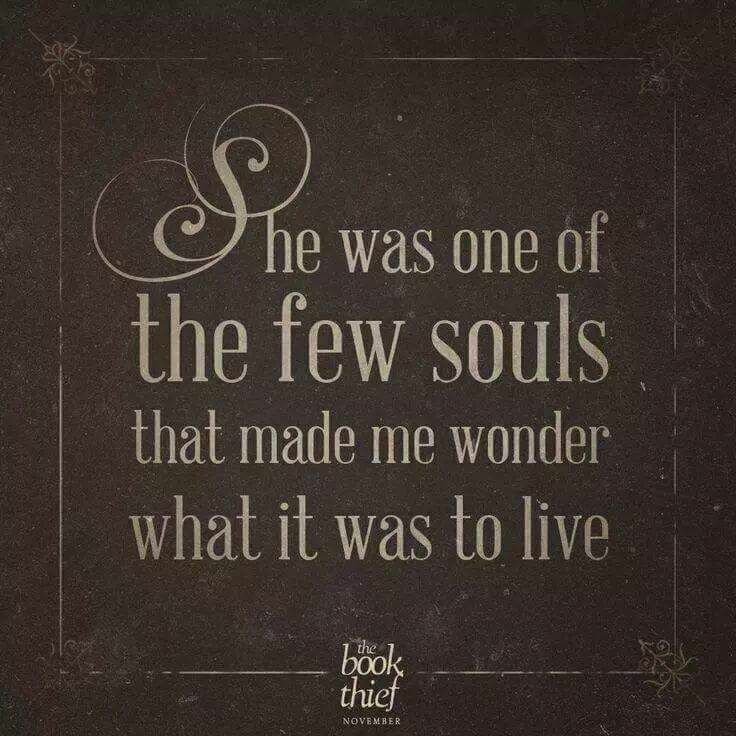 Some of the quotes are so hauntingly beautiful.... so incredibly soulful... Frankly, I didn't like the story telling or the story, but the last 100 pages wrecked my heart. I still google for some of the Book thief quotes and read and reread them ... it touches you in a strange way. I would be doing this too, I'm sure. Such a brilliant book. Oh yes, it is going to be totally worth it. Oh you should read this! Yeah... glad theres another who loved this book. This book stayed with me for a long time post that last page. One of its kind, and definitely a fine work on the holocaust. It will stay with me for a long time too. Way too brilliant.